Ladies Night Out Fundraiser for the Foundation - Wednesday, May 1, 2019 - Clear Lake Community Center. Save the Date now! ahead with a vision to provide individuals a way to give back to their community. The 2018 Tour of Tables was held on Saturday, October 13, in the Clear Lake Community Center. 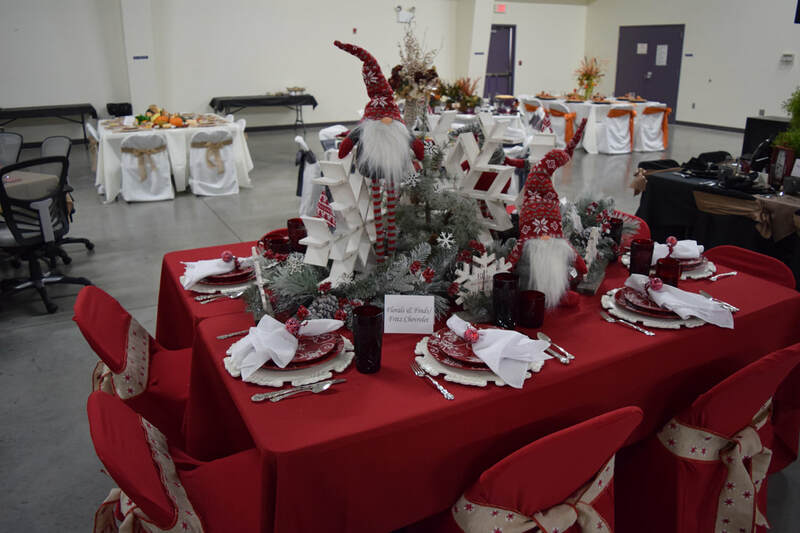 There were 27 tables decorated for the event and 225 people attended. "The Browns" from LeMars, Iowa, performed the entertainment providing music for all ages. Thank you to those who attended, businesses and individuals who gave monetary donations, silent auction donors and buyers and to Lisa and Rory Olerud for providing the $2,000 matching gift opportunity. The grand total of the event will be released by November 13th after all donations have been totaled. Below is a slide show of the tables. The sponsor of the table is noted on the table tent on each table. ​ of two-way radios and to the Clear Lake Fire Department for the purchase of thermal cameras in October 2018. Cory Borg and Laurie Smith accepted the grant certificate on behalf of the Sexual Assault Response Team (SART). Bonnie TeKrony, Midway teacher at Deuel, accepted the grant certificate for the field trip. The Foundation provided a grant for school field trip to NeSoDak on Wednesday, May 23. "Thanks so much for generosity and support for the Midway to attend NeSoDak for the day. Many memories were made in the outdoors with kayaking, canoeing, and archery. Educational presentations on the water cycle, soil conservation, animal food chain, and skins/skulls," said Mr. Jon Peterreins, 5th grade teacher. Two area high school students were recently awarded $500.00 scholarships from the Foundation at their high school recognition events. On the left is Nathan Schoenfeld from Astoria being presented his certificate from Becky Krause. Nathan is from Astoria and attends Deubrook High School. He will attend Dakota State University this fall to study cyber security. On the right is Preston Homan being presented a certificate from board members Chad Schiernbeck and Becky Krause. Preston is from Clear Lake and attends Deuel High School. He will attend Morningside College this fall to study ag business. The Foundation a​warded its most recent grant to the Connect For Kids Organization at Deuel School. The Foundation was able to cover the costs of a family science night that was held in the school gym on Thursday, April 19. Those who were available for the picture are Alan Severson, Board Member, Jen VonEye, Connect for Kids member, Amber Peterreins, Connect for Kids member, Chad Schiernbeck, Board Member, Jamie Wiesner, President of Connect for Kids, Cory Borg, Board Member and Becky Krause, Board Member. The Deuel County Community Foundation grants reach throughout Deuel County. Grants have been awarded to organizations serving the following communities: Gary, Astoria, Toronto, Clear Lake, Brandt, and Goodwin. The 2017 Grant Recipients are the Clear Lake Golf Course for the purchase of youth golf clubs for students, Deuel Gymnastics Boosters for a piece of safety equipment at the Deuel Gymnastics facility, Brandt Softball Association for the repair of the field fence and Deuel School District for a field trip for Grades 4 and 5. Grants have been given to organizations such as the SACH (Stewards Against Childhood Hunger), Deuel Youth Football, Gary Historical Society, Deuel School District No. 19-4, Goodwin Community Center, SART (Sexual Assault Response Team), Astoria Softball Association, DARE, Clear Lake Historical Society and Museum, Deuel County Shooting Sports, Deuel County Good Samaritan Society, Clear Lake Library, Pheasants Forever Coteau Chapter, Deuel County Memorial Hospital, Gary EMT/Gary Fire Department and several others. ​See Grant Application tab to open Application link. The Foundation hosts three fundraising events throughout the year. The "Ladies Night Out" is the Spring fundraising event that features entertainment targeted toward the women of the community. The Tour of Tables is the Foundation's annual event. This event features a meal, entertainment, and the awarding of grants. 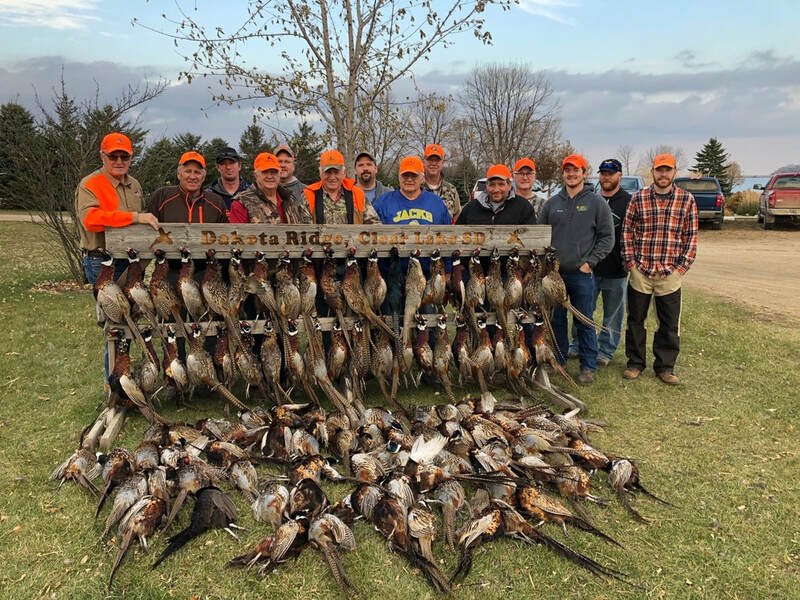 The Foundation concludes its year with the annual pheasant hunt. There are many ways to contribute to the Foundation. Many individuals choose to donate their time, money, or other assets. Giving to the Foundation is your way to build your legacy. Contact a board member to discuss gifting opportunities and leaving your legacy for future generations. ​awarded nearly $7,000 in grants to local non-profits.